Another surprise lovely from a blog reader. 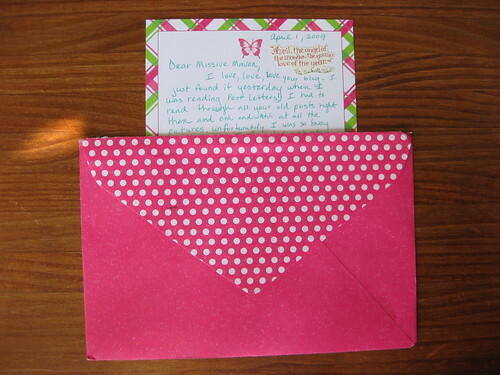 She used some delightful stickers on this pretty butterfly plaid stationery, and the envelope has glitter glue in every one of the white polka dots! It was a really lovely letter, too. What a pleasant surprise! That day I received TWO surprise blog-reader letters. Photos of the second one coming soon. My thanks also to Post Letters; this blog reader found me through them, and I get a lot of hits coming from their wonderful site. If you haven't visited them yet, do check them out! 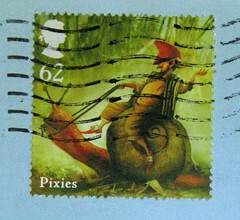 They are full of fine postal goodness. 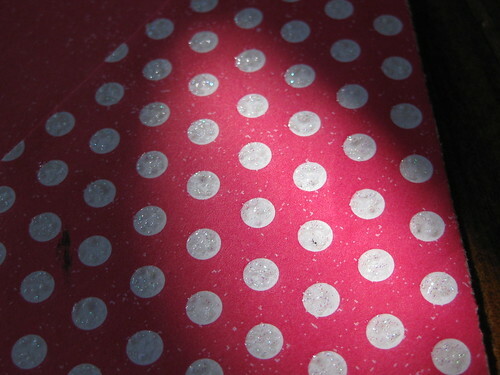 white dots on pink! yummy!